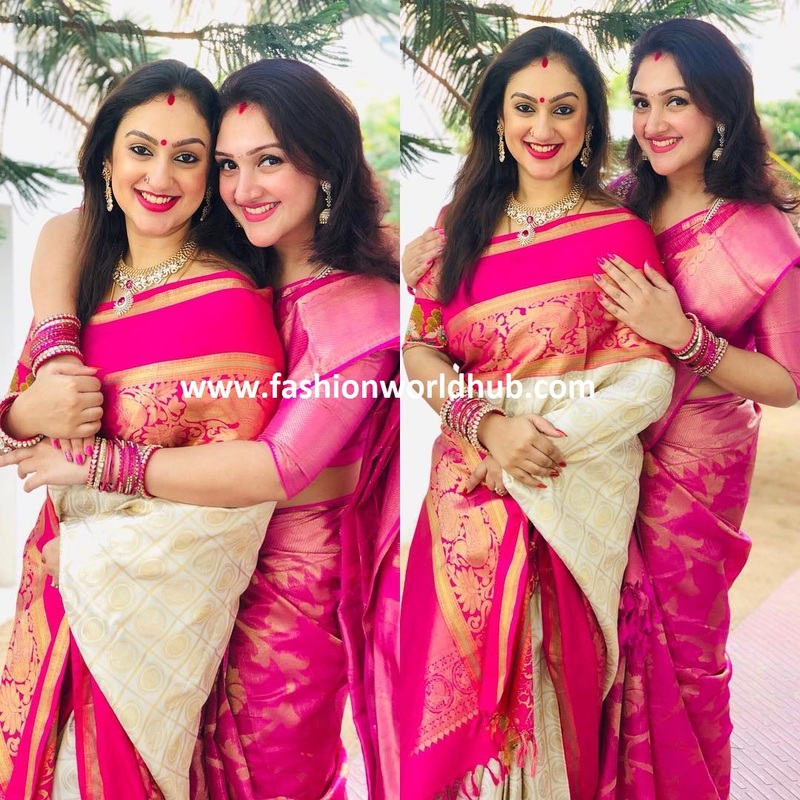 Pritha hari and Sridevi vijaykumar at Soundarya rajinikanth wedding! 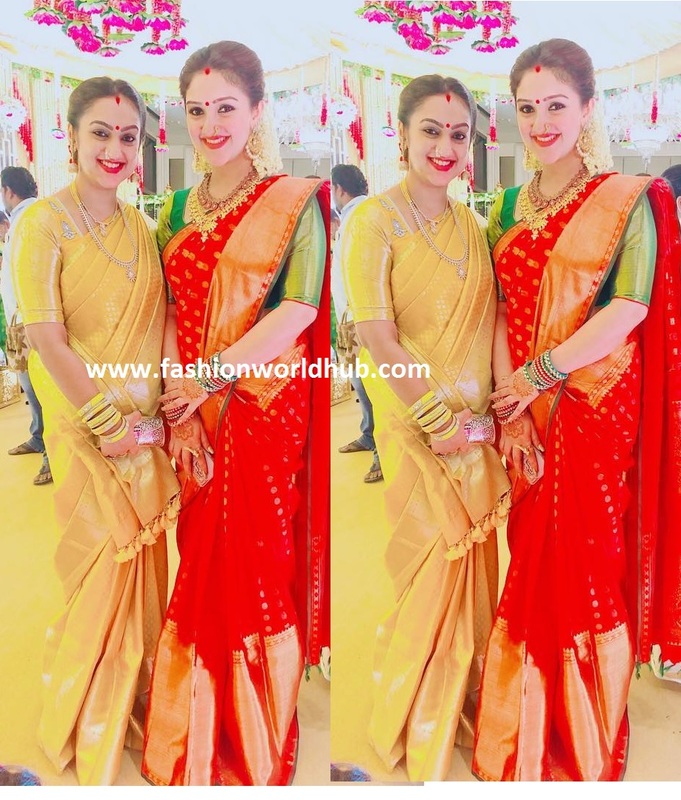 Pritha hari and sridevi vijaykumar attended the grand wedding of soundarya rajnikanth and Vishagan . Pritha hari was seen in beautiful gold kanjeevaram saree paired with matching elbow length sleeve blouse and she finished her look with diamond jewellery and while milky white sridevi vijaykumar was seen in Red kanjeevaram saree paired with contrast green elbow length sleeve blouse and she finished her look with traditional gold jewellery. Both the lovely sister’s looked nice! 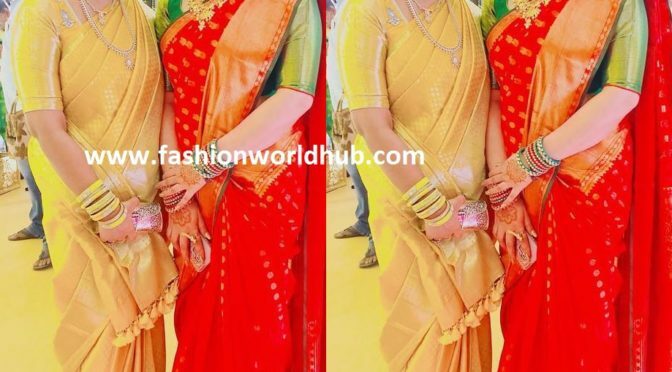 Sridevi Vijaykumar - Unseen wedding photos! Previous PostSoundarya Rajinikanth in Green silk saree!Next PostKajol in Pink silk saree at Soundarya rajinikanth and Vishagan wedding!